Located in the state of Texas, Cedar Hill is a medium-sized city with a population of 47,457 residents. Cedar Hill is mostly populated by White (38%) and Black or African American (54%) ethnic groups. If finding a family friendly city is important to you, look no further. With more than 70% of the population considered married and 51% with kids under the age of 18, Cedar Hill could be considered a very suitable city for families. Living in Cedar Hill can be a fulfilling experience for anyone relocating to the area. Having said that, in the state of Texas, there are many incredible places to live, so choose wisely! Finding the best places to live in Cedar Hill and nearby areas is a much easier task when you can rely on information and data from the livability score, which includes crime, cost of living, education, employment and other important metrics. Using data and statistics Cedar Hill has received a livability score of 85 out of 100. This score is ranked in the 98th percentile when compared to all other cities. Clearly, Cedar Hill is doing something right, as this score ranks well above the average of most cities. Cedar Hill also ranks in the top 10 percent of all cities, which is no small feat! For each of the livability categories, we see that Cedar Hill ranks very well for amenities (A+), weather (B), education (A+) and housing (A). Based on the proximity of local amenities like grocery stores, restaurants, coffee shops, parks, librairies, etc., Cedar Hill has received a higher than average score for its local amenities. If you’re planning on relocating and making this area your permanent home, it’s nice to know that there is an ample amount of amenities and things to do within walking distance or a short drive. Some of the interesting things to do and attractions include: Cedar Hill State Park, Joe Pool Lake, and Penn Farm at Cedar Hill State Park. The average school test scores in Cedar Hill are 69%. This far exceeds the national average and ensures that this educational system will provide your children with the skills and the tools they need to thrive. Finding affordable real estate and apartments for rent in Cedar Hill can be tricky. Having said that, this area might be the place to get the best of both worlds. 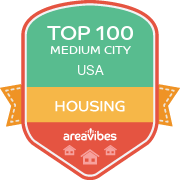 Based on factors like home/rental affordability and appreciation rates, this area has received an above average score in the housing category. Assuming that Cedar Hill meets all of your requirements, the next most important item to examine is the affordability of real estate in Cedar Hill. Everything else becomes a lot less important if it turns out that home prices in Cedar Hill are simply unattainable. The median home price for Cedar Hill homes is $139,100, which is 2.5% lower than the Texas average. If we take a closer look at the affordability of homes in Cedar Hill, we’ll see that the home price to income ratio is 2, which is 23.1% lower than the Texas average. For most people, purchasing a new home is the biggest investment they will make in their lifetime. Taking a look at overall real estate appreciation rates in Cedar Hill will offer some insight into determining if your home purchase will be a solid investment for years to come. In Cedar Hill, the year-over-year appreciation rates were 12.8%, and the 5 year appreciation rates came in at 10.1%. How Do You Rate The Livability In Cedar Hill? Before moving to Houston to pursue my college degree, I was in Cedar Hill near Dallas. This Texan city is located just a few miles from Dallas. In recent years, Cedar Hill has been ranked among the list of best neighborhoods in Ellis County. This city is just 16 miles from the posh Dallas Downtown. During weekends, I always visited the Cedar Hill State Park for hiking and camping with friends. What I love about Cedar Hill is its serene setting. The town is sparsely populated with only 45,028 residents as per the 2010 census. There are some beautiful communities in this city. Nearby towns including Lancaster, DeSoto and Duncanville also boast beautiful residential communities. The cost of living in Cedar Hill is cheaper than Dallas. This includes all household expenses, home price, utility expenses and grocery price. Economically, the town is well-established. Cedar Hill is served by an independent school district. There are private and public schools, charter schools and affiliated church schools in this city. The Duncanville ISD and the Midlothian ISH include high schools. Trinity Christian School is another popular school in Cedar Hill, TX. Many of the Cedar Hill schools participate in football tournaments and championships every year. For recreation and weekend fun, there are plenty of choices in Cedar Hill State Park. This beautiful park offers a range of hiking and biking opportunities, camp grounds for all avid campers, geocache and beautiful spots for wildlife and nature watch. The Joe Pool Lake is another popular weekend trip destination near to this town. The Cedar Hill State Park is close to the Joe Pool Lake; thus, my family always preferred to visit the site during the swim season. Fishing is another activity that you can enjoy here. The adjoining picnic pavilions are perfect for family get-together and fun picnicking. Source: The Cedar Hill, TX data and statistics displayed above are derived from the 2016 United States Census Bureau American Community Survey (ACS).